At First Pentecostal Church in Columbus, the Rev. Steve Blaylock said the building was “a total loss,” with a wall pushed in, holes in the roof and substantial water damage. He and his congregants tried to salvage what they could on the morning after the storm. But he said they still held a Sunday prayer service and even went ahead with a scheduled baptism, using a borrowed portable baptismal pool. 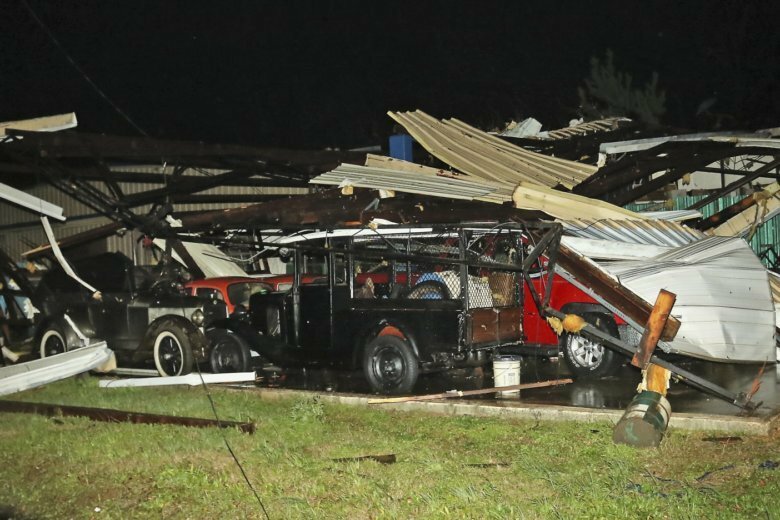 A photographer working for The AP in Columbus said some antique cars on Lawrence’s lot were resting in the debris of a destroyed building a nearby pet grooming business appeared now to be mostly twisted piles of metal. A printing shop had been speared by a pipe.